Shanks is a “New” waterfront restaurant located at Harborside Marina in Clinton, CT. 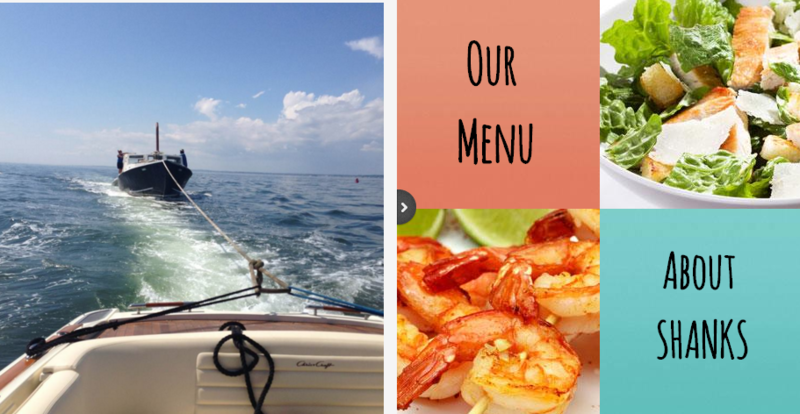 The restaurant was created from a 1974 Bruno & Stillman 42’ Commercial Lobster Boat completely customized to house a state of the art commercial kitchen, capable of cooking fresh seafood, lobster, burgers and much more. The original boat came from The Sound School in New Haven, Ct and was used as a research vessel for 20 years before decommissioning. “Sounder” was transported by from New Haven to Clinton in 2014 and the transformation took nearly a year to complete. Shanks now resides at Harborside Marina but is a fully transportable lobster boat. The original Shanks Cafe was a Clinton staple and also located at Clinton Harborside Marina from the 70’s to the mid 80’s and was known for its “atmosphere.” Anyone that lives or has lived in and around the shoreline reminisces about the stories of Shanks. Now resurrected, Shanks will be a seasonal waterfront destination, serving fresh seafood, lobster and much more. We welcome old and new customers to enjoy the experience as well as tell the stories.